“For the Initiate, Liber XV is a treasure-house of technical information relating to a supreme technique of High Magick; but for all of us, it is a joyous feast, an act of worship, and the celebration of a miracle.” -Lon Milo Duquette, The Magick of Thelema. “Overcoming one obstacle after another, he must dispel the dark vapors that intervene between himself and the true sun, so that in the end the pure rays of light may reach him without interruption.”- author unknown, the Sixth and Seventh Books of Moses [Egyptian Press, 1920(?)]. “I am He! The Bornless Spirit! having sight in the Feet; Strong, and the Immortal Fire!” -Invocation of the Bornless One. It has often been said that the Gnostic Mass is the supreme Thelemic ritual, yet there is suprisingly little interpretation or commentary on it. Perhaps this is due to reluctance to examine Class A documents; perhaps it is out of fear that some initiatory secret might slip into the hands of the mundane. Perhaps it is simply because many people simply choose to enjoy the Mass as a celebration rather than as an intellectual exercise, but no matter what the approach, the simple fact is that there is a substantial layer of hidden symbolism beneath almost every action undertaken within the official Liber XV structure. Even a cursory examination of the Mass will reveal the symbolic relationship between man and woman in sexual union as shown through the interaction of Priest and Priestess, of the uniting of Understanding and Wisdom to create the child Knowledge in the Abyss. Through participatory action as a celebrant, officer, or simply as a student of the Mass itself, there are many important lessons and secrets which can be gleaned from its' relatively short length and process, some of which are more obvious than others. One relationship which may not be readily apparent on first examination is the substantial similarity between the structure and intent of the Mass and the Golden Dawn Adeptus Minor ritual, which Crowley himself went through in January 1900. Despite the substantial impact his association with the Golden Dawn had on Crowley's own ritual practices and availability of information, the link betwen his later writings and the source material has been largely overlooked even into the present decade. From the Lesser Banishing Ritual of the Pentagram to the complex structure of the intiatory grades and associated symbolism, the Golden Dawn continued to have an impact on Crowley's perceptions and ritual construction even after the eventual disintegration of the order amidst personal squabbles, bad publicity, and mad grabs at power by numerous individuals. However intriguing the power struggles and political structure of the Golden Dawn may be, however, it does not adequately serve to explain the symbolism and actions in the Gnostic Mass, while the ritual admitting a candidate to Adeptus Minor does. However, even with the differences in the location of the tomb and altar, the placement of black and white symbolic pillars in both rituals has a significant amount of bearing on understanding the implications and intent of both. Kether: Altar in Gnostic Mass, Tomb in Adeptus Minor. Da`ath: The Veil and steps in the Gnostic Mass, the Door in the Adeptus Minor Ritual. Geburah: Black Pillar in both. Chesed: White Pillar in both. Tiphareth: Deacon in Gnostic Mass, Chief Adept in initial Adeptus Minor layout. Hod: Dark Child in Gnostic Mass, Third Adept in initial Adeptus Minor layout. Netzach: Light Child in Gnostic Mass, Second Adept in initial Adeptus Minor layout. Yesod: Salt and Water from the Mass. Malkuth: The Tomb from the Gnostic Mass. However, the focus of the ceremony on the disparate elements of the Tomb in the Adeptus Minor ritual does pose an immediate problem despite the other intriguing overlaps, at least until a basic concept taught to many Kaballah students: Malkuth is in Kether, and Kether is in Malkuth. This transformation occurs in a positioning oddly similar to the layout in the Gnostic mass in which the communicant kneels as does the Adeptus Minor initiate, and becomes at the threshhold of the Veil, Door, or Da`ath, worthy to enter the glories beyond and partake of the great mysteries of the universe. In the Adeptus Minor ritual, the initiate is shown the glories that lie beyond the veil of the temple and within the tomb, whereas in the Gnostic Mass the communicant ingests the magical seed of the union between Binah and Chokmah. The ultimate question of the Mass has to be to what end is the seed constructed, or what exactly will grow from its consumption. It is in this ceremonial communion or initiation that the similarities between the two rituals become the most fascinating. In the Adeptus Minor ritual, the aspirant in effect becomes the Chief, and receives the hidden knowledge of the Tomb. The symbolic truth is revealed in the descriptions of Christian Rosenkreutz's mythological life and teachings, where the initiate learns of the secrets of the sanctuary of the temple. Through a ritual passing into the Inner Temple, the aspirant enters the sanctuary and becomes aware of the hidden truth. By contrast, in the Gnostic Mass, the communicant goes forth to commune with the Priestess, who holds in her hands the fruit of the mating of Understanding and Wisdom, and offers it unquestioningly to the communicant in the form of the Cakes of Light and the sacramental wine. Both individuals take back the seed of gnosis within their bodies; one through the revelation of the tomb, the other through the ingestion of what could well be termed the symbolic fruit of the Tree of Knowledge. It is in the reception of this knowledge that the two rituals share some of their most apparent differences, and perhaps, as well, of their hidden similarities. Rosenkreutz is a mythological figure, a font of knowledge who is truly neither man nor woman, but instead himself the example of Knowledge, a seed which can be consumed and digested by the initiate, but he is not the Priestess of the Mass. Instead, he himself is the fruit of knowledge symbolically created upon the altar of the Mass; through the invoking of the names, directed by the force of will and gestures of the Deacon into the head of the Priest worshipping the lance and the womb upon the altar. From the Priest's mouth utters the Word which is breathed into the womb, which is then symbolically consumed by the communicants. Both rituals have as their focus the delivery of knowledge and gnosis into the participant, with means that may differ in outward appearance but have similar symbolic meanings. The intriguing difference in the communion of the Mass versus the revelation of the Tomb is that the Mass presents a hybrid of knowledge for the communicant to consume. Through the channelling of the names in the ritual, the Deacon instills the union of the Priest and Priestess with the essence, or characteristics, of the “saints” whose names are invoked. Thus, while the Adeptus Minor candidate acquires the knowledge of Rosenkreutz, the Gnostic Mass communicant invokes through participation and literal consumption the knowledge of all those involved and invoked. The symbolism between the two rituals becomes further important once one considers the role of the Deacon and the children within the Mass as compared to the Chief and Adepts in the Adeptus Minor initiation. The Deacon is the symbol of balance in the Mass, directing the will of the congregation and the sexual energy generated by the display and interaction of the Priest and Priestess, and like the Chief in the Adeptus Minor ritual, resides in Tiphareth to control the operation which has been set in motion. 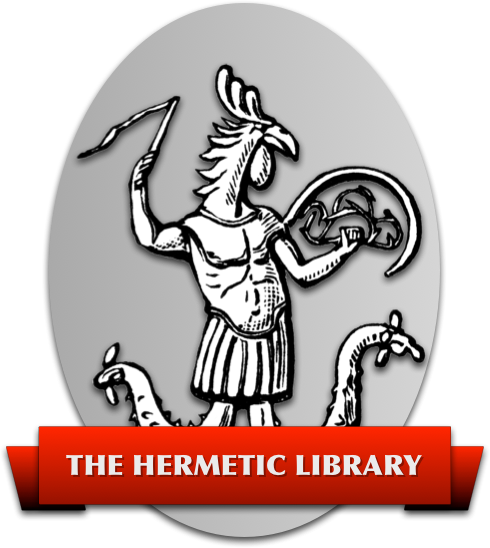 The Deacon is the representative of the Hermit triad, just as the Chief Adept in the Adeptus Minor ritual is symbolic of the upper degrees of the Golden Dawn. Both direct the operation and hopefully impart knowledge into the participants. The Second Adept is paired with the Light Child of the Mass, representative of the Second Order and the Lover Triad of the OTO, respectably. Similarly, the Third Adept is paired in the layout to the Dark Child of the Mass, who is symbolic of the lower degrees of the Golden Dawn and the Man of Earth Triad in the OTO. These three Adepts work together to channel energy and direct it, just as the Deacon and Children do in the Mass; both ultimately generate knowledge from the base in Tiphareth, hopefully balanced as it slams up the Middle Pillar of the Tree. The end goal of this energy utilized in the rituals is something which has both substantial similarities as well as important differences. Perhaps the most substantial of these similarities as well as the most substantial of the differences in in the creation of an egregore of varying shape and power. Both the Gnostic Mass and the Adeptus Minor ritual contribute directly to the creation or perpetuation of a “group mind”, whereby participants assume roles in a greater heirarchy as well as hopefully experience individual gnosis. This egregore in the Adeptus Minor ritual is the “Inner Order”, which the initiation admits the candidate to become a member of, whereas in the Gnostic Mass, the egregore appears to be a combination of the energies of the members present, the Order from which they come, and the entities invoked. Beyond the superficial inclusion of Cristian Rosenkreutz in both ceremonies, the egregore appears to have a substantially different character, as shown by the inclusive nature of the Gnostic Mass versus the exclusive nature of the initiation. It is also an interesting line of examination to ponder the impact that the Mass has on the participants. Given the symbology of the cup and wine as the menstrual blood and womb of the Priestess, and the sperm and phallus of the Priest, as embodied in the “Cakes of Light”, a question emerges: is the cake itself a symbolic representation (or perhaps something far more than symbolic) of the fertilized egg, to be brought into the waiting body of the communicant? If so, what then springs from the seed? Knowledge? A portion of the egregore created in the Mass? Something far different? The same can be said of the Adeptus Minor initiation, which in essence directs a magical operation from Tiphareth into fruition. Ultimately, one has to ponder the most basic question of magick in regards to both rituals: to what end are they performed? The tools of initiation and gnosis and magick are laid bare for the reader or participant to see in these rituals, whereas the great house and the purpose of its construction remains unknown.